Early pre-stages of printmaking in China was the use of wooden stamps for reproducing Daoist and Buddhist images and for printing on textiles, and also the cutting of stone reliefs. The basic condition was the invention of paper which is dated to 105 A D, when the court official Ts'ai Lun presented to the emperor a paper which he had, based on earlier papermaking techniques, signifacantly improved. Woodblock printmaking started during the Tang Period (618-907), probably during the 8. Century. A pre-stage at that time might have been also the technique of stone rubbing, which emerged around the 7th century, when humid paper was brushed onto a stone relief and inked in dry state with ink on a tampon. In woodblock printing, a paper was rubbed onto an inked woodblock with the help of a brush. The oldest remaining Chinese book, and one of the oldest remaining prints worldwide, is the Diamond-Sutra found at Dunhuang, dated to 868, a 5m-long scroll with a beautiful and technically perfect frontispiece showing the preaching Buddha. In the early days, Buddhist and Taoist images and texts as well as more mundane things like playing cards and calendars were printed with woodblocks. A huge industry of governmental and private publishers developed. During the Period of the five Dynasties (907-960), big editions of Confuzian classics were printed, ordered from the court. The Song Period is famous for the fine prints due to beautiful types and a high printing quality. Painters, cutters, printers and bookbinders started to specialize on their crafts. Other major printing projects, ordered by the court, were done for reproducing classics of literature and religious texts of Daoism and Buddhism. Papier money and letter papers was printed. In the 10th Century, the bound book developed from the scroll. For the public, entertaining books with illustrations were printed privately. Also the new-year's prints, nien-hua, emerged, symbolic images for pasting onto doors and in the house. Since the 14th Century, multi-colour printing was done. Printmaking came to a new prime during the Ming Period (1368 - 1644). A pioneer of printing with colours, especially gradations, and embossing was the official and artist Hu Cheng Yen (1582? - 1672? 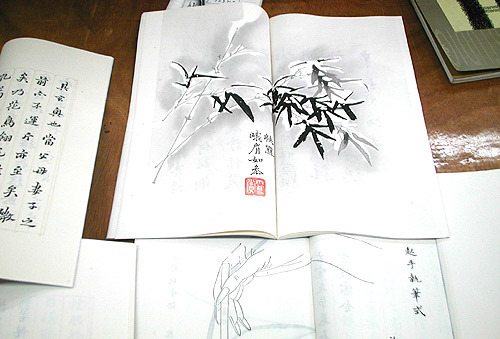 ), who published the famous "Ten Bamboo Studio Collection" in 1622 - 1627, beautifully reproduced calligraphies and ink paintings, and also letterpaper with fine embossings ( images of woodblock prints from the Ming Period). The traditional collaboration work changed in the beginning of the 20th century, when, under the impression of Western printmaking, artists started to design, cut and print their woodblock prints on their own. In the 30ies, the intellectual Lu Xun initiated a woodblock-print movement, suggesting to use this technique for political and enlightenment purposes, presenting prints of the German artist Käthe Kollwitz. Influenced by this, artists created numerous black-and-white prints with critical political and social content. Since the 40ies, based on the political directives coming from the Soviet Union, the woodblock themes started to lean on the social realism. In the following years the technique was mainly used as means of propaganda, often practized in teams. Today, in the lively Chinese printmaking scene, woodblock printmaking is done in various ways: with the use of oil- and water-based inks, and with several registration systems. The following introduction of woodblock printmaking refers to the traditional woodblock, which is still practiced in some studios. 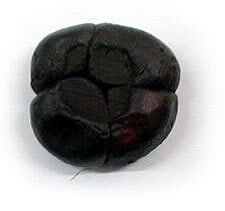 Mostly pear was and is used, preferably of the huge trees from Shandong, however jujube is used as well. The design is done on a special, very thin paper. For transferring it to the block, rice paste is spread onto the block and the paper is pasted with the front side down quickly to the block, by starting on one side and flattening it to the other. Afterwards the paper fibres on the back of the paper are carefully rubbed off, until only the painted lines remain on the block. Cutting is mainly done with a special fist knife, the quan dao. This knife is custom-made for the users fist. It emerged in the Tang period (618 - 907). The quan dao is forged in bow form with two points. With the front point the lines are cut, with the back point the remaining wood is scraped or pushed away. This way very detailed parts of the block can be cut exclusively with this knife. For less detailed parts gouges are used additionly. As opposed to Japanese and Western woodblocks, the different details of a design are not cut into a single block but distributed to several small blocks, which are fixed in the right position on the printing table. This is done with a resin, which is flexible while being warmed, and keeps the blocks in place after hardening. For printing a special printing device is used – a table with a gap. The papers are attached on the edge right beside this gap under a slat and then flipped over to the right. Left from the gap, the blocks are fixed onto the table with the resin. The right position of the blocks is found by touching the blocks through the first of the attached papers. For every printing the blocks have to be inked with a special printing brush (please see below). Sometimes the ink is diluted with another brush for creating gradations. After inking, a paper is flipped over the blocks and rubbed with the hand printing tool (please see below). The inks condition (concentrated, diluted, very wet, almost dry, pasty) and the pressure during printing influence the result. After printing the paper is dropped into the gap. When all the papers are printed and dried, the printing of the next color can start. Printing is done on dry paper or silk. 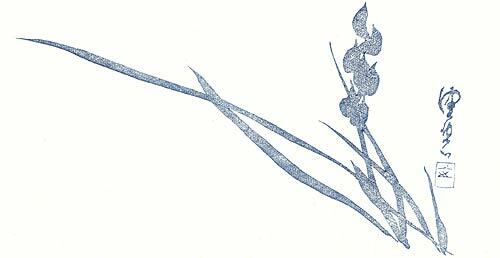 Traditionally, inks made of plants are used, which are diluted to the wished intensity with water. 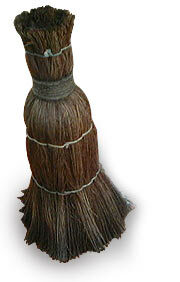 The printing brush is made from palm leaf fibers. The tool for printing is a piece of wood covered with palm leaf fibers and horse hair on top. 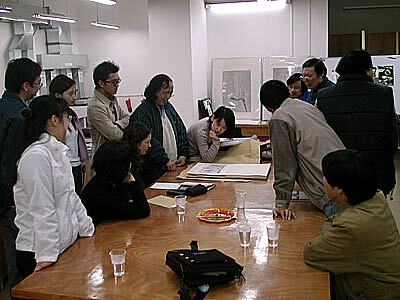 I want to thank Mr. Lu Zhiping for organizing the demonstration at the Peninsula Art Center Shanghai and Mr. and Mrs. Lu Qinghua for demonstrating the techniques.